A test- Which is the real Blenko? Before you scroll down, please take a guess. . . 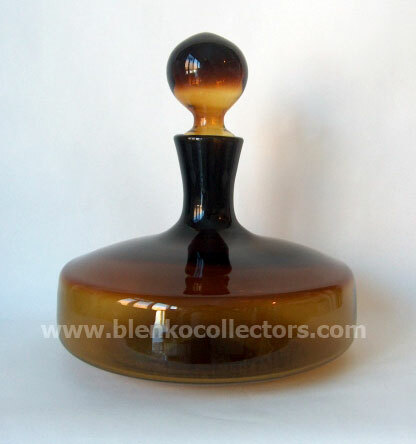 If it is a glass decanter, does it mean it is Blenko???? 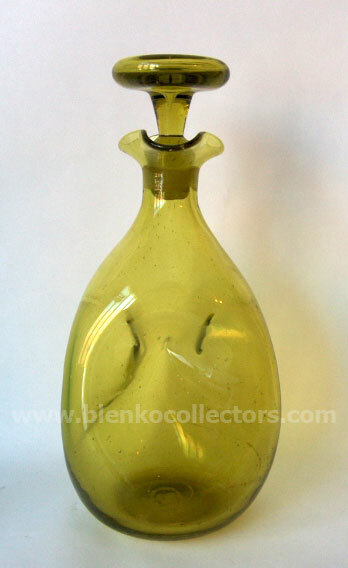 This one was first made by Bischoff, then for Indiana Handcraft. No, not Blenko. Yes, this is Blenko. Number 999 designed by Winslow Anderson. 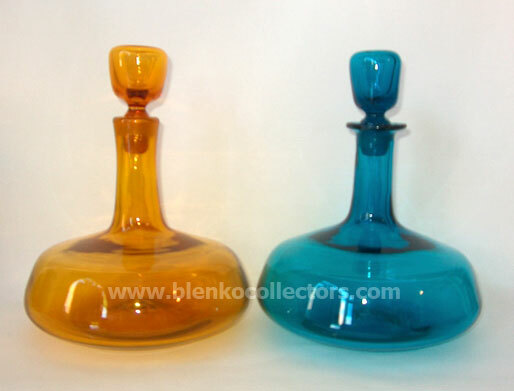 Both of these are number 565 Blenko decanters. 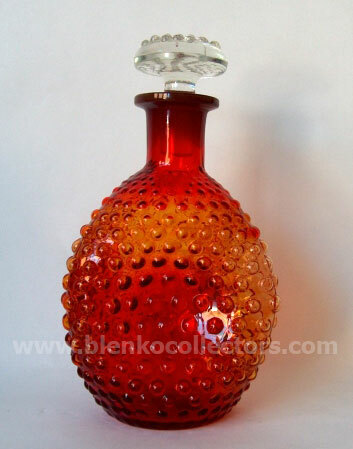 This is a Blenko #49 Pinched Decanter. 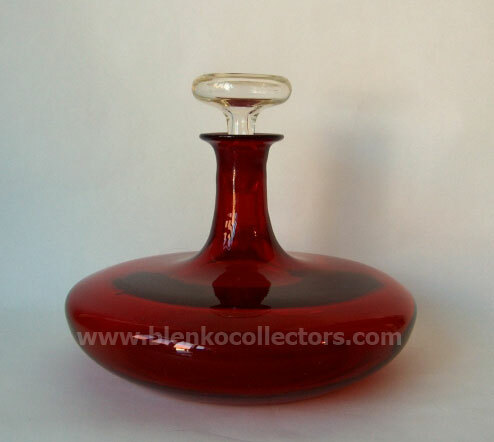 Blenko's pinched decanter will have a pontil.